This add-on makes it easy to upgrade/downgrade LibreELEC development builds by downloading directly from Kodi. To view more details about a build press the Info button (currently only for Milhouse Builds). To perform an update the add-on will download the tar file into the /storage/.update folder. The update will then be installed on the next reboot. Install the Leopold repository zip file. 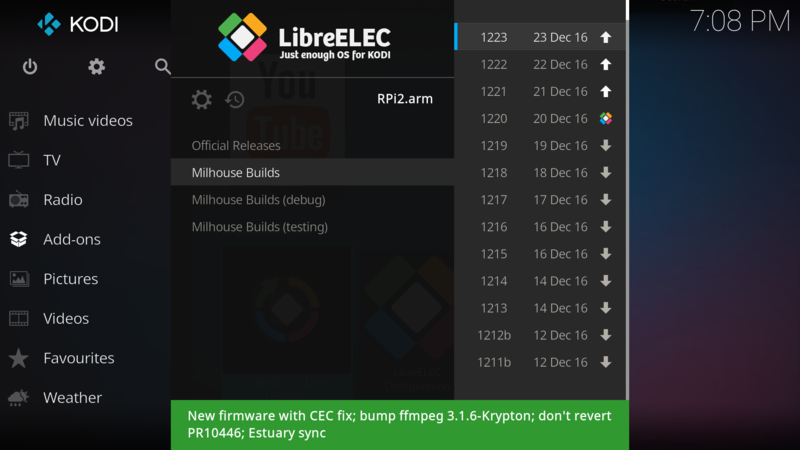 Install LibreELEC Dev Updater from Leopold's Add-ons under Program Add-ons. Installing from the repository will ensure that the add-on is kept up-to-date as I release updates. Why is the add-on not updating? You probably installed the zip file instead of installing from the repository. 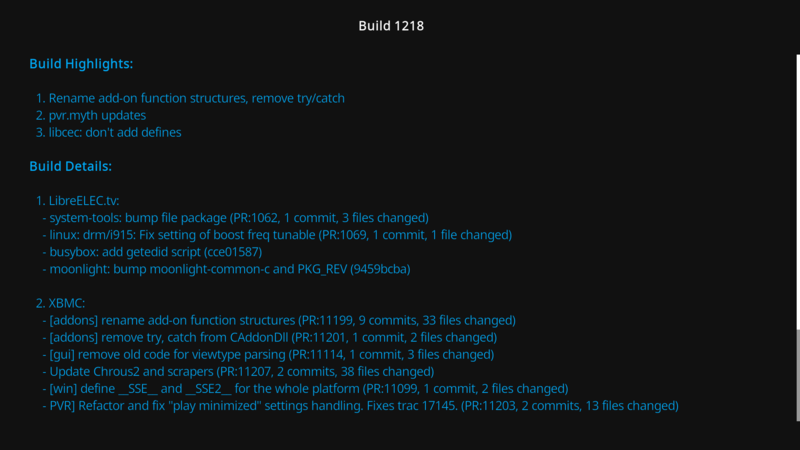 If you install from the repository you will always receive the latest add-on updates.